Acting on behalf of Denbighshire County Council and a private client, Legat Owen has completed the sale of a development site in Rhuddlan, Denbighshire to Macbryde Homes (Macbryde), at the guide price of £3 million. Macbryde has subsequently submitted a reserved matters planning application for 99 new homes. This announcement comes after outline Planning permission was granted by Denbighshire County Council in February 2016 for the development of 3.9 hectares (8.37 acres) of land for residential development. After a ten-year absence of developing in the borough, we are delighted to be moving forward with our plans to once again build much needed quality family homes in Denbighshire. Securing this development contributes towards our target of having sales outlets in each of the North Wales local authority areas. The site is favourably located in a sought-after area adjacent to the Tirionfa development, with both the Rhuddlan Golf Club and plenty of open countryside nearby. We will build properties that both complement and enhance this local environment and anticipate that these will particularly appeal to first time buyers, young professionals and growing families. This has been a complex transaction requiring the parties to work together to maximise the value of the site. We initially advised upon the terms of a collaboration agreement and have subsequently negotiated the sale for the land owners to Macbryde Homes, who have already submitted a reserved matters application. Sites of this quality are few and far between and it attracted significant interest and a number of offers. 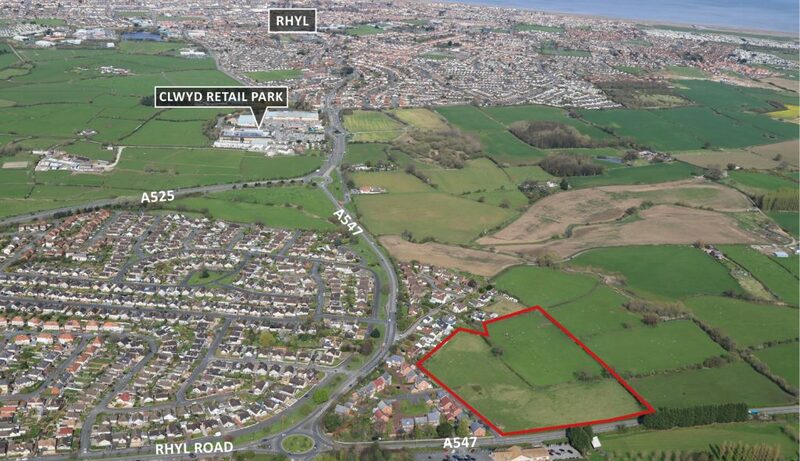 Once planning is approved the site will deliver much needed new housing to the North Wales market.